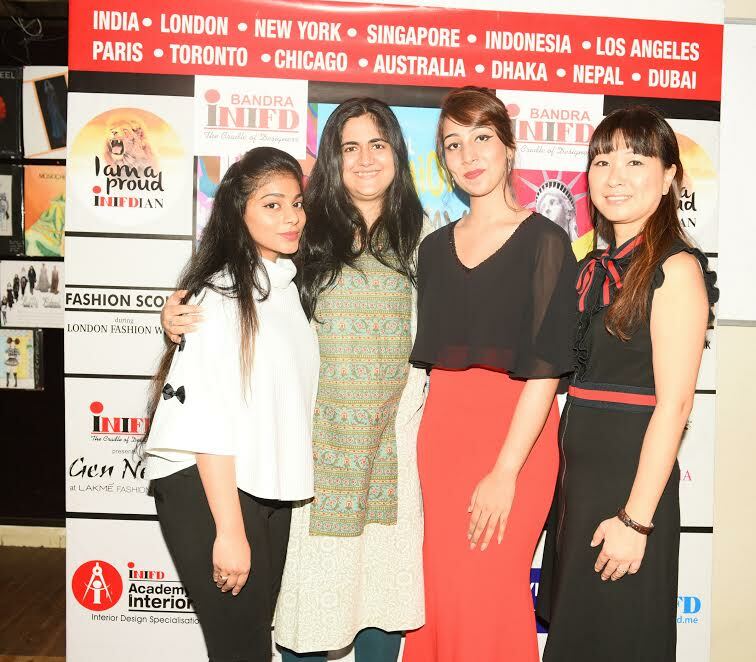 It is a moment of great pride for the International Institute of Fashion Design, Bandra - Mumbai that 3 of its students- Michi Tanaka, Shifa Bagwan, Kaisar Shaikh have created history by showcasing internationally at the prestigious London Fashion Scout in February 2017. 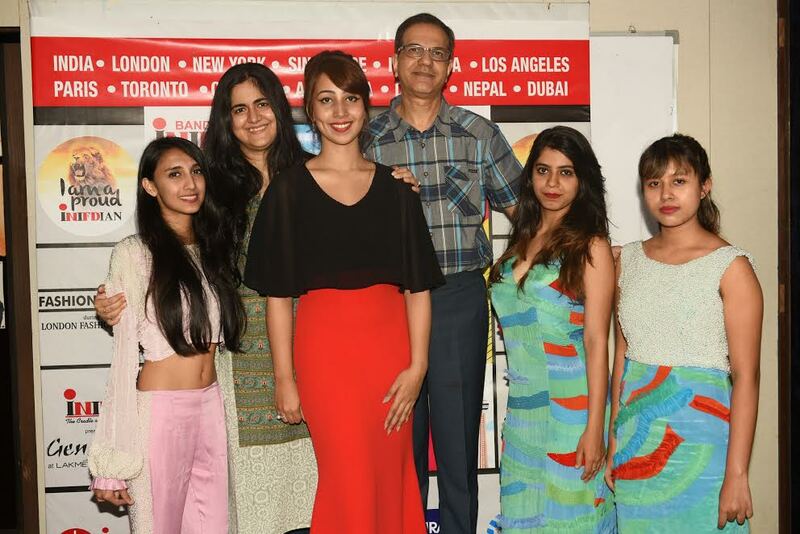 Michi Tanaka, Shifa Bagwan and Kaisar Shaikh showcased their collection & addressed the media about their experience. Michi Tanaka says - " Showcasing Internationally gave me a great boost and upgraded my skills, now I feel I can face this industry in a well prepared manner and I would like to thank INIFD Bandra Mumbai and INIFD Corporate for this opportunity"
Kaisar Shaikh said "I got a lot of help and guidance from Team INIFD Bandra Mumbai and from mentors at INIFD Corporate and London, this opportunity not only gave me an international platform but increased my self confidence and gave me years worth of experience in a short span due to the amount of skill and research that went into creating my collection"
Shifa Bagwan said "I could take advantage of this international platform only because I am an INIFD student, as this opportunity was exclusive to INIFD students only. I would advice all students to take advantage of all the opportunities that INIFD has to offer and make the most of it like I did. This platform opened up many opportunities for me in India and abroad and I look forward to making my mark in the world"
Vivek Dhawan & Disha Dhawan Tripathi said "It a matter of pride for INIFD Bandra that our students have glorified our National flag on International soil. We hope & wish them all the luck for the their future en devours"
This fashion platform which showcased another prominent celebrity Indian Fashion Designer during the same season is one of UK's largest independent showcase platforms for emerging and established design talent during London Fashion Week. 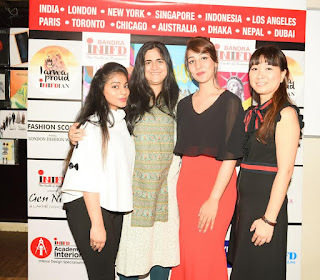 Three students of INIFD Bandra Mumbai - Michi Tanaka, Shifa Bagwan and Kaisar Shaikh were amongst the 20 designers shortlisted from INIFDs all over India through various rounds of selection to showcase their designs at the INIFD - LST show. INIFD Bandra Mumbai was one of the centres which had the maximum selection of students due to the excellence of its student's submissions and guidance from a specially appointed mentor. Such was the success of this show that the students designs were featured prominently in the fashion bible "British Vogue" ,Daily Mail, The Upcoming, Rediff.com, and many more... taking India to the International Fashion circuit.